Oren's Money Saver: Discover Card - 2% Cashback for June 2013 - Targeted? Discover Card - 2% Cashback for June 2013 - Targeted? 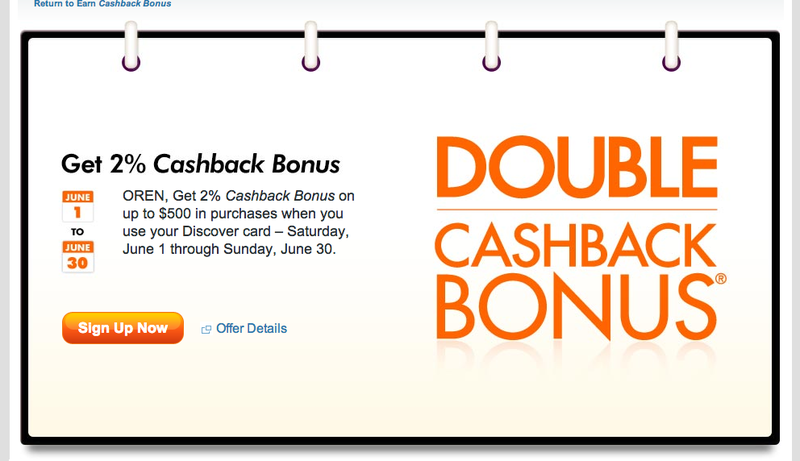 Discover it is offering 2% back on up to $500 of purchases in the month of June. Not everyone is eligible so you will have to check your account and I will show you how. If you don't specifically sign up, you won't get it. This is stackable with the 5% categories so you will get 7% cashback at home improvement stores instead of the regular 6%. 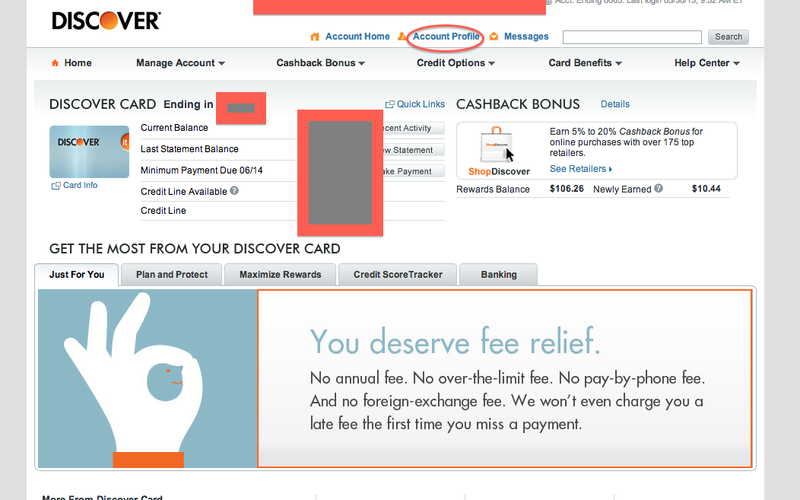 I consider Discover rewards to be worth 1.25x there stated value so 7% is worth 8.75% to me. According to the Frequent Miler laboratory, you won't get extra cashback for buying gift cards from Shop Discover, even though this will work through Lowe's.